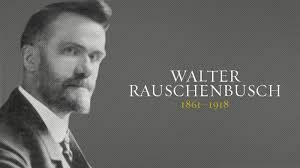 “Christianity is a life, not a doctrine” –Walter Rauschenbusch. This idea has captured liberal congregations in the past, and today is the rallying cry for many who claim to be Christian conservatives. One reason that Christians often shy away from defending Scripture is because cool-shaming is a reality, especially among some of the university-age set. Full article by Alex Wilgus here. We, the West, are powerless to fight against the ideology of Islam, as the clip correctly shows. But the problem is not one of strategy, but one of moral nerve. This moral nerve cannot be mustered, because the West has committed spiritual suicide, having finally and completely rejected its spiritual foundations in Christendom. Christendom gets a lot of bad press right now, often without describing what it really was, could be, and really entails. Mention it and you will get one of two comments: “You can’t go back to the days of ‘Leave it to Beaver,'” or, “Yes, but the Crusades were terrible.” The first comment only demonstrates ignorance; the second, fails to understand that the soldiers of the Crusades actually believed that what they were fighting for had eternal consequences. Today’s soldiers will grow weary fighting for freedom when, upon their return, find that their governments define freedom as confused young men’s rights to shower with their daughters after gym. The growth of government has been a solution to the wrong problem for decades, and when freedom is celebrated in the West, it is done so with the proper permissions, permits, and waivers. The spiritual underpinnings of Western freedoms and democracies have not simply faded away, they have been banished. This is why in popular culture, the two options of humanistic education and health care (the 21st centuries’ version of salvation) or elimination through bombing are the only two choices available. The option of national repentance, from leaders to the led, across all segments of society, is not on the table, and this is certainly why the West must fall. We, the West, have tolerated the destruction of generations of children. We cannot, then, think of ourselves as the moral superiors to Islam in any form, violent or not. Our cultural sins have brought great judgement upon us, and God will give our lands to those who do not kill their children. Notice the infanticide that Nineveh inflicted upon Thebes, and how that was a cause of judgement. Nineveh was known for its cruelty, yet somehow Western post-Christian nations think that they are not! The thousands that Islam has killed in the past decades is such a small number compared to the mass destruction of the innocent by the West. In Nahum 3:11-13 we read how easy it will be for Babylon to defeat Nineveh. Keep in mind that Nineveh and Assyria were the regions superpowers at the time, and were thought for years to be invincible. No military strategist could have seen this coming. Drunkenness, fear, pursuit, an easy target, women soldiers and open gates all describe Nineveh before her enemies. Nineveh, and her neighbhours, did not believe this for a moment, but this is how their end came. Get ready, and die anyway, is the message of Nahum. More doctors! More teachers! or, More bombs! Since we’re not treating our cancer, it must metastasize. God granted Nineveh repentance during the days of Jonah, but did not do so again. We have no certainty that He will grant us repentance, and we should just reflect upon that.